Riding a bike in traffic is a perilous journey. 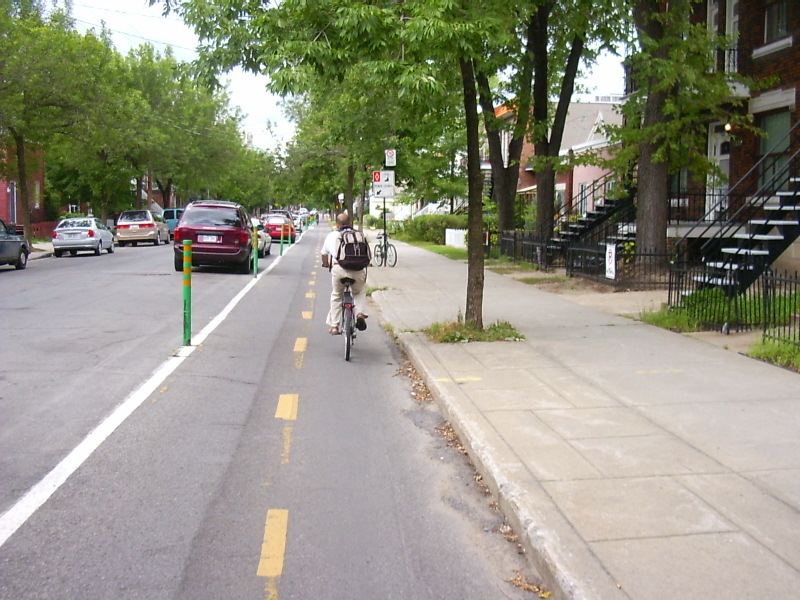 Safe and well planned bike lanes can get you from point A to point B in a secure fashion. Not all local and national governments seem to agree on this or don't think that it is necessary. Like any other change that can be done by the people we put in power, the only way to get things done is by letting them know what we want. Sometimes just asking is sufficient, I know this by working for a government body. Elected and public officials don't have all the answers and just taking the time to tell them what you want can result in positive action. It doesn't always work that way, but sometimes it does when it is in the domain of the possible. For those of you living out in the rest of the planet, www.bikelane.com is a central point for all bike lane advocacy. If you don't find anything there, start your own group. If people from the mass never get involved, nothing will ever get done. Bike lanes are not only good for cyclists safety, but can get more people riding bikes and less people driving cars. A bike lane is also a great way to slow down car traffic. Good luck and Godspeed to all of you out there. Thank you so much on your pictorial instruction on removing the one piece crank. I have an old Schwinn DX900 that I've fixed up thanks to your help. This is from a guy who's mtn bike has all Shimano XTR an XT parts. You site is easily the most user friendly on the net. Thanks again and be safe as well. I posted a comment to you a while back about scavenging for used bikes... anyway, I found this entry very interesting, and I will say that there are even more direct ways to try and sway the government to invest in bicycle infrastructure. Tu connait peut-être un évenement qui s'appelle Critical Mass, ou Masse Critique. It happens all over the place, once a month, where cyclists get together and ride as a mass through the city streets. It's a bit of a guerilla tactic, since it temporarily blocks the traffic so that everyone can ride together safely in the street. Thanks for the comment Riley. I will definitely post about critical mass rides. They do happen all over the world and the message makes a lot of sense. Le bike "Bart" doesn't exist anymore, but I am planning on making a new one and post it. Pas de trouble pour la plogue, ca va etre bientot.